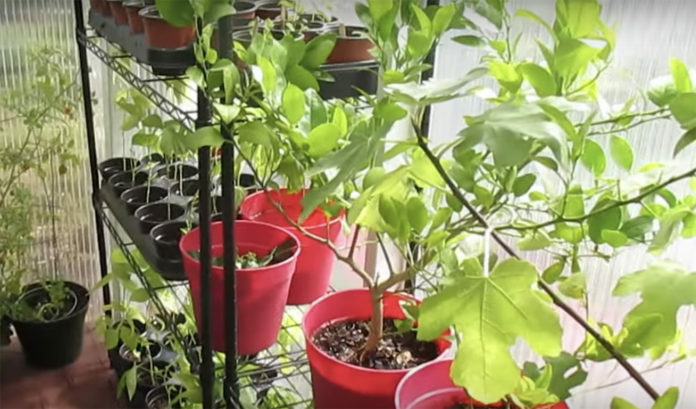 Greenhouses are amazing for their traditional purpose of growing plants and extending the growing season in cold climates, but did you know a greenhouse can also be used to heat your home? A greenhouse attached to a home works as a passive solar heater by collecting the heat of the sun during the day and transmitting heat into the home. 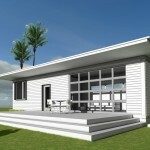 Some homes are built with attached sunspaces, conservatories, or solariums, which are a similar idea, but are primarily intended as extra living space, whereas a greenhouse is intended for plant growing. Heat that is collected by the greenhouse during the day can be transferred into the house through windows or vents, or with fans for increased heat flow. At night, the windows or vents are closed to retain the heat in the house when temperatures drop outside. By using some sort of thermal mass inside the greenhouse, heat can be retained longer, keeping the greenhouse from freezing in even the coldest climates. Examples of thermal masses for heat absorption include bricks on the house, planting beds, or black water containers. 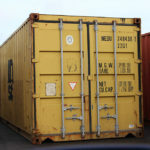 An attached greenhouse can be very large and expensive, but it doesn’t have to be. 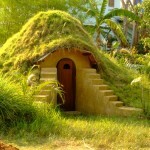 Here is an example of a small greenhouse design that heats a home in a cold climate. 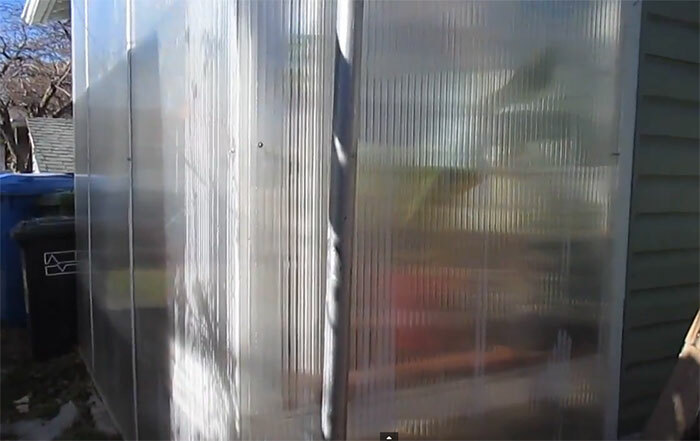 This greenhouse was built very simply, using panels and 2 x 4 boards on a concrete footing. 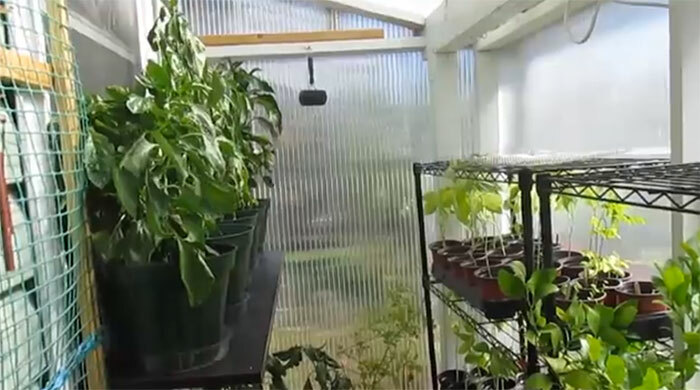 See this video for details on how this greenhouse heats the house, and requirements you’ll need to consider if you choose to build one yourself. Here are some examples of how this greenhouse provides heat on a very cold day, along with a breakdown of savings. 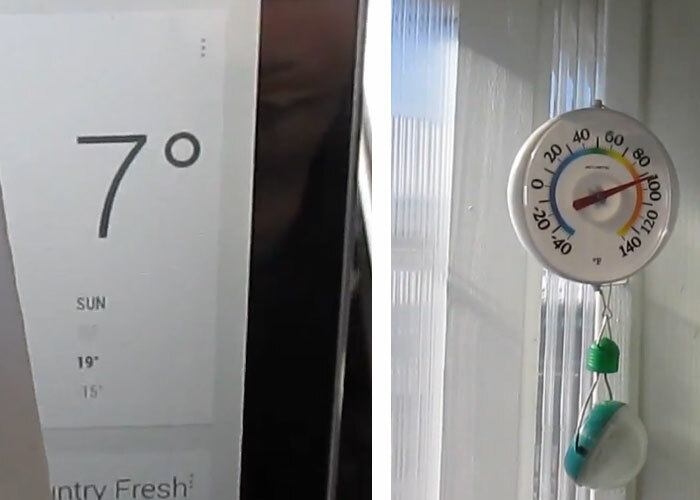 As you can see, on a day that is only 7 degrees Fahrenheit, the temperature inside the greenhouse is over 90 degrees. 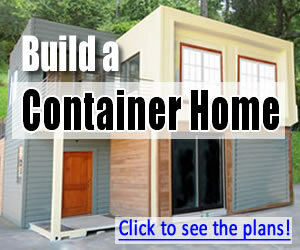 Costs for building a greenhouse like this can vary significantly, depending on the materials used. 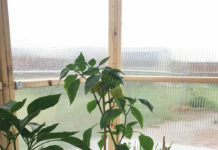 This particular example uses 5-layer greenhouse panels that are extremely efficient at retaining heat, but also very expensive when purchased new. 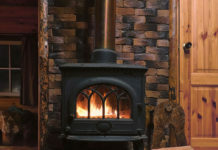 These panels were purchased from a reclaimed building materials store at a big discount. Another beautiful example of this idea is the off grid Montana cabin we recently wrote about that has a greenhouse/sun room addition that is used along with the wood stove as the cabin’s heat source. 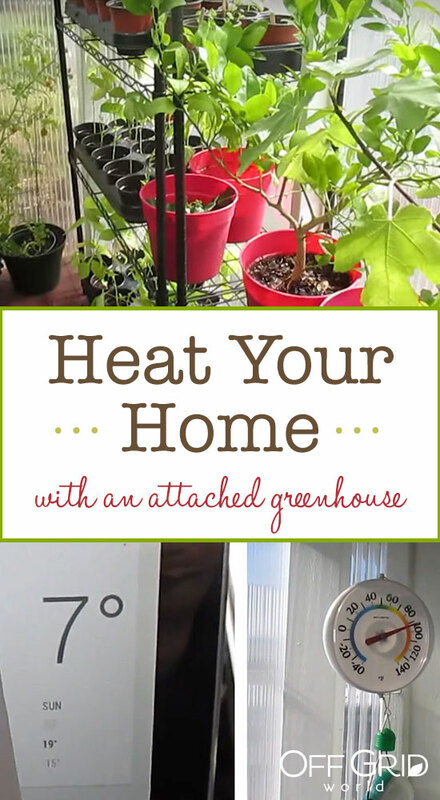 Depending on your climate and the amount of sun you get, you may need a backup home heating source if you try this, but a greenhouse can still be a great way to provide supplemental heat and a place to grow plants. All with the added benefit of providing cleaner air to your home by circulating the air that has been filtered by the plants into the home. Hi there, I found your blog by way of Google even as searching for a comparable matter, your web site got here up, it seems good. I’ve bookmarked it in my google bookmarks.